For everyone fascinated by art or even for those who just love coffee, signing up for this experience would be a great idea. From abstracts, graphics, and landscapes to figurines, this workshop will show you how coffee can be used to create anything you desire. 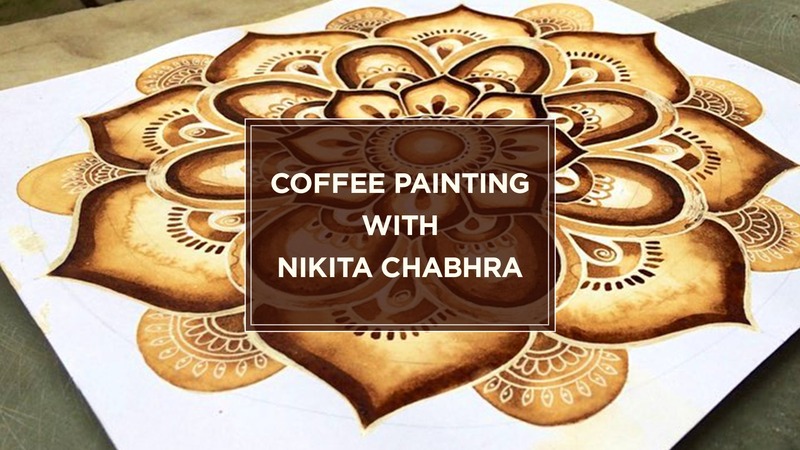 The Craftsutra's workshop will cover everything from discussing a brief history of coffee painting to learning the colour/texture of different types of coffee and also, painting using coffee powder. Don't worry, there will be a pro-coffee artist to guide you through it all. You will learn how to make fabulous compositions with just coffee and water on cartridge sheets, brief history about coffee painting, types of coffees and their impact on the texture/color while painting. Our instructors will guide you on how to achieve light and dark shade on a limited spectrum while discussing the various possibilities of sepia-toned artworks. Nikita is a full-time artist - an expert at both watercolours & acrylics and loves to work on a variety of surfaces - fabric, wooden objects, furniture, wall murals as well along with paper and canvas. 'The Craftsutra' is a platform for people to engage in Arts, learn and acquire a new skill, meet and bond with like minded people. We believe that anyone can create Art and look forward to offering you the opportunity to paint, create, learn and explore art in a way like never before. We invite people who are even vaguely interested in art to participate in a myriad of workshops. From paint parties to mandala-making to clay sculpting, tie-and-dye, and even glass cutting, these crafts get-togethers are held across the city and at different venues. Registration is absolutely free! Materials will be provided at the workshop.